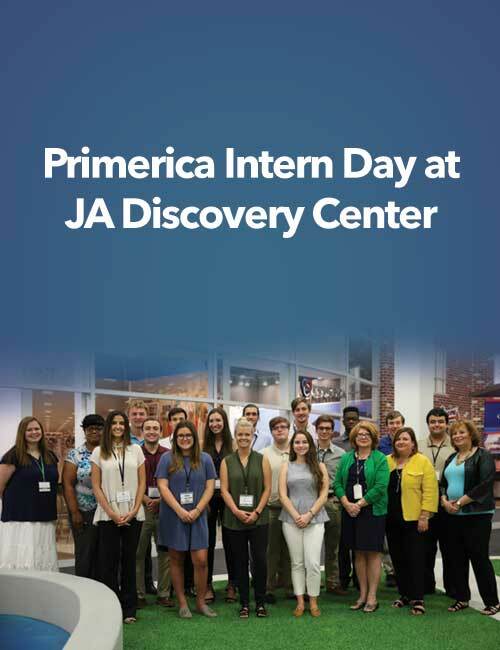 July 13 was Primerica Intern Day at the Junior Achievement Discovery Center – a special center located in Gwinnett County that teaches young people about personal finance, budgeting and entrepreneurship. As part of a partnership project with The Primerica Foundation, 15 high school and college students who intern at the Primerica Home Office in Duluth spent half a day learning what the Discovery Center is all about. The interns toured the facility and participated in a simulation project where they created budgets and applied for loans with the help of JA staff and Primerica Home Office volunteers. 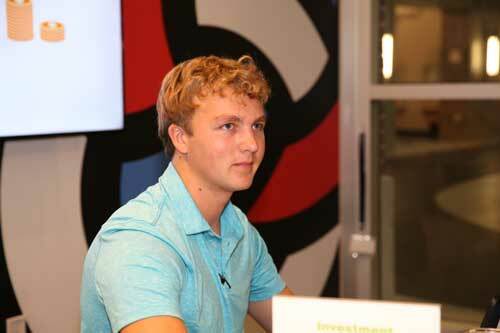 The budgeting exercise helped give intern Thomas Kruegler a good idea of the average monthly costs he’ll have to meet in the near future, he said. “This has been very helpful,” he added. Intern Stefani Reed said the experience helped put the term “financial literacy” into perspective. All of the interns shared that none of them were exposed to such a high level of financial education when they were in middle or high school. Although the Discovery Center currently serves Gwinnett County middle school students, the day’s events aimed to give the interns an idea of how businesses and nonprofits work together and hands-on volunteer experience at the center. 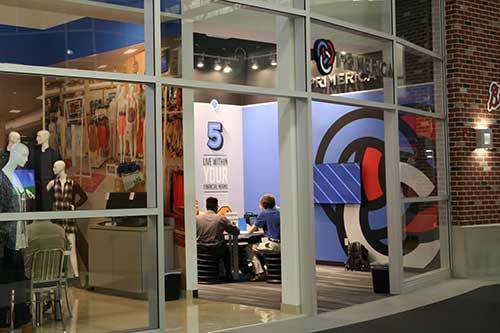 Watch this video to learn more about Primerica and JA. This entry was posted on Thursday, July 27th, 2017 at 8:04 am	and is filed under Primerica. You can follow any responses to this entry through the RSS 2.0 feed. You can leave a response, or trackback from your own site. I live in Albuquerque, NM. A couple years ago I was approached to join. At that time I was unable to, however my situation has improved now. How do I go about joining? Thank you.